From knowing your fundamental rights at work to assisting you through any issues that occur in your workplace, this section of the website helps you find answers. 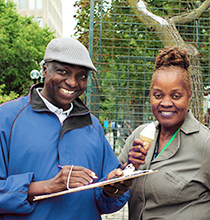 Know Your Rights: This page highlights your rights under your collective agreement and Ontario's labour laws. Collective Agreements: Find relevant documents related to your bargaining unit's collective agreement. Workplace Disputes: This section takes you through the dispute resolution process, and your role in it. 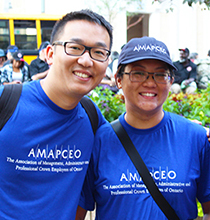 Find Your Workplace Rep: On this page, you can find out more about how AMAPCEO's Workplace Representatives are here to help. Health & Safety: Read more about AMAPCEO's commitment to keeping your workplace safe.